These are tools & gadgets that we love and use ~ so tried & true! 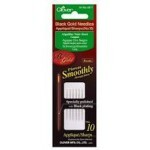 15 per pack ~ Very fine & sharp ~ approx. 1⅝" long ~ Megan's favourite! 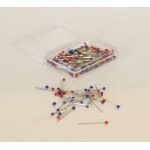 Applique Pins by Little House ~ short, sharp & fine ~ the best! 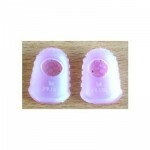 Rubber Thimble/Needle Gripper by Little House ~ Pink - Medium. Two per pack. Used by Corliss for all sewing. 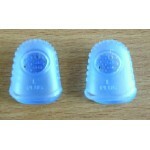 Rubber Thimble/Needle Gripper by Little House ~ Blue - Large. Two per pack. Prevents holes or callus on finger. 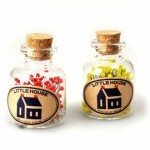 This cute little bottle contains 120 fine, glass headed pins each approx. 1" long. Great to use for hand or machine piecing. 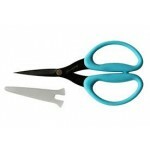 Perfect Scissors - 6" - Blue These are absolutely our favourite scissors. Serrated so they grip fabric as you cut and sharp to the very point. Great for marking applique patches, quilting lines & other sewing projects. 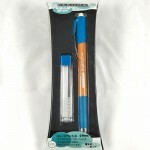 Lead 0.9mm diametre. Use yellow on medium/dark fabrics. Great for marking applique patches, quilting lines & other sewing projects. Lead 0.9mm diametre. Use pink on medium/dark fabrics. 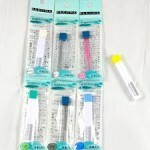 Great for marking applique patches, quilting lines & other sewing projects. Lead 0.9mm diametre. Use white on medium/dark fabrics. Great for marking applique patches, quilting lines & other sewing projects. Lead 0.9mm diametre. Use black on light/medium fabrics. Pack of 6 Black refill leads. 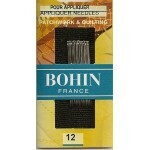 Great for marking applique patches, quilting lines & other sewing projects. Lead 0.9mm diametre. Use black on light/medium fabrics.